Residue integral calculation, Cauchy Principal Value, etc. 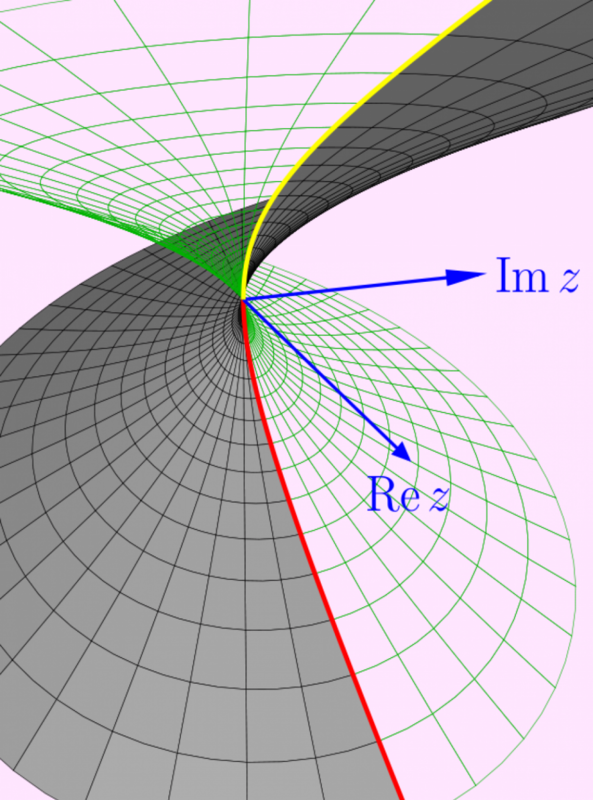 First: the Cauchy Principal Value. Remember when you were in calculus and did ? If you said something like you lost some credit and said that the integral converged if and only if both AND BOTH converged..the limits had to be independent of one another. That is correct, of course, but IF you knew that both integrals converged then, in fact, gave the correct answer. As for why you need convergence: so while the integral diverges, this particular limit is zero. So this limit has a name: it is called the Cauchy Principal Value of the integral and is equal to the value of the improper integral PROVIDED the integral converges. We will use this concept in some of our calculations. The idea: let represent the contour shown above: upper half of the circle followed by the diameter, taken once around in the standard direction. Of course and if is large enough, the contour encloses all of the singularities in the upper half plane. as because . The bound comes from the “maximum of the function being integrated times the arc length of the integral”. So the only non-zero part left is which is the Cauchy Principal value, which, IF the integral is convergent, is equal to . This example will feature many concepts, including the Cauchy Principal Value. We would like to calculate with the understanding that so we assume that . Above: we have the graphs of . Reason: and these form the terms of a divergent series. So we know that our integral converges. So what do we do? Our basic examples assume no poles on the axis. And we do have the trig function. So here is what turns out to work: use . Why? For one, along the real axis we have and so what we want will be the imaginary part of our expression..once we figure out how to handle zero AND the real part. Now what about our contour? We have a small half circle around the origin (upper half plane), the line segment to the larger half circle, the larger half circle in the upper half plane, the segment from the larger half circle to the smaller one. If we call the complete contour then by Cauchy’s theorem no matter what are provided . So the idea will be to let and to see what happens. This estimate is a bit trickier than the other estimates. Reason: if we try which could equal when . Then multiplying this by the length of the curve ( ) we simply get which does NOT go to zero. Now as we have which does go to zero. which also goes to zero. So we have what we want on the upper semicircle. where represents the regular part..the analytic part. The part of the integral that survives is for ANY (check this: use . which is true for . We will have “the usual” assumptions about the functions in question. So assume that is a simple closed curve (say, piecewise smooth), taken in the standard counterclockwise direction, which bounds a simply connected region and is a smooth vector field on some open set containing . 2. Prove this for a union of rectangles. 3. Show that a region by a piecewise smooth curve can be approximated as closely as desired by a region consisting of a sum of rectangles (think: pixels for a jpg image). So, in the limit, the integral of the given piecewise smooth curve is approximated by the polygonal boundary of the union of rectangles, and the area integral is approximated by the area of the rectangles. with running from to “backwards” and then running backwards from to . So the line integral becomes which is what the area integral works out to. The following figure suggests what goes on when we extend Green’s Theorem to the union of two rectangles. which the author writes as where .